BML Multi Shot Box magazine launcher 37mm rifled barrel only. The BML-37 is a box 37mm fed launcher. It is an innovative alternative to traditional rotary style projectile launchers. 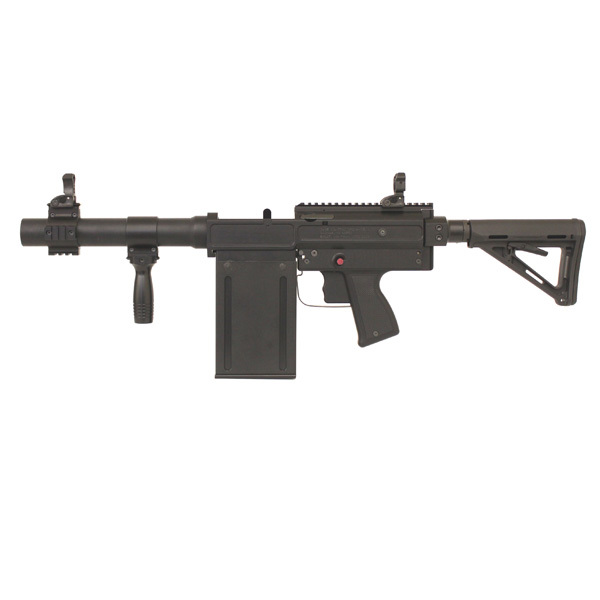 Available with various magazine capacities, the BML-37 can operate as a single or multi-shot launcher. It has two safeties both cross bolt type and firing pin out-of-alignment safety. Loading is accomplished from the top of the action through the chamber/ejection port into the magazine. Upon firing the empty cartridge is automatically ejected, allowing you to rapidly fire multiple rounds.